Five OLF students were selected this year to participate in the Mississippi Gulf Coast Carnival Association royal court for 2018. Ryan Mavar, 3rd grader, is one of the pages to King D’Iberville. Julia Guice, 6th grader, is one of the pages to Queen Ixolib. Carter McLendon, 5th grader, Christopher Mavar, 6th grader, and Heith Shinn, 6th grader, are participating as flag bearers. 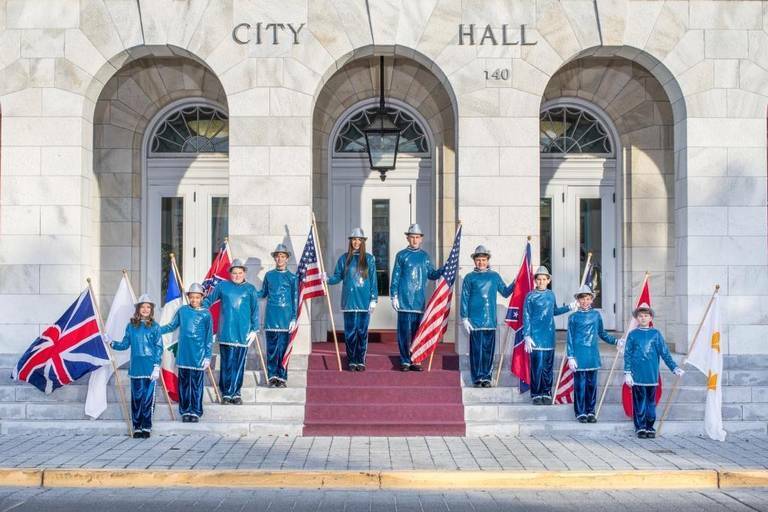 These students will march in the annual Children’s Mardi Gras Walking Parade on Saturday, February 3rd, and will be a part of the official Coronation Ball to be held at the MS Gulf Coast Coliseum on Monday, February 12th. 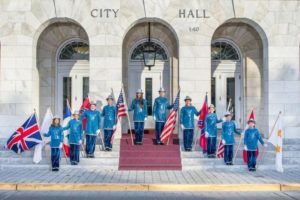 GCCA 2018 flag bearers at City Hall.